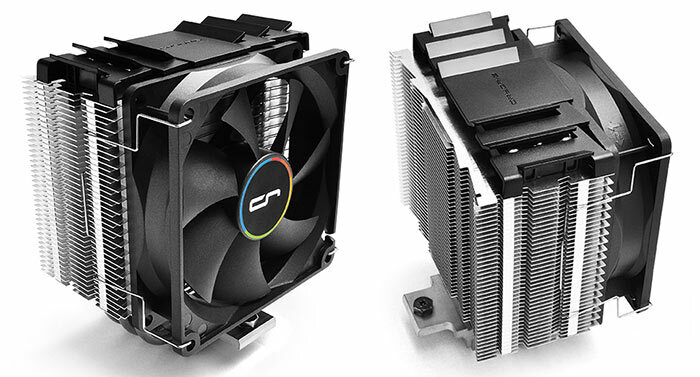 Cryorig has released the M9i and M9a Ultra Compact Tower Coolers. These are aimed at enthusiasts on a budget and designed to be small, light and efficient. Despite the cost constraints Cryorig says its new M9i and M9a coolers are built with similar tech and materials to its high end products. 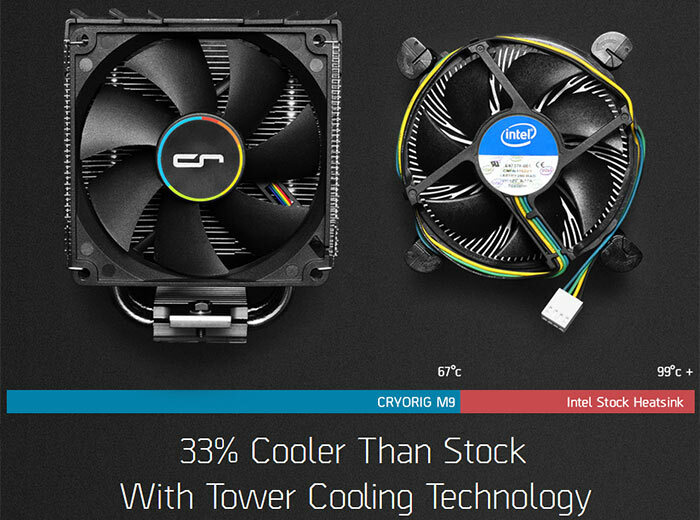 The cooler with the 'i' suffix is made for Intel and the 'a' suffixed product is for AMD systems. The pair of new coolers have been built "bucking the trend of removing the costly copper base in entry-level products," says Cryorig. The M9i and M9a have a True Copper Base to improve heat conduction and an optimal contact point for the three 6mm heatpipes. Above its copper base the M9i and M9a cooler's heatpipes dissipate heat via Cryorig's proprietary Jet Fin Acceleration System, as featured on its high end coolers. The fins have a wider intake and narrow exhaust which "allows for easy airflow intake and faster air exhaust". The fan in the M9i and M9a is a high performance 92mm 2200rpm PWM unit. 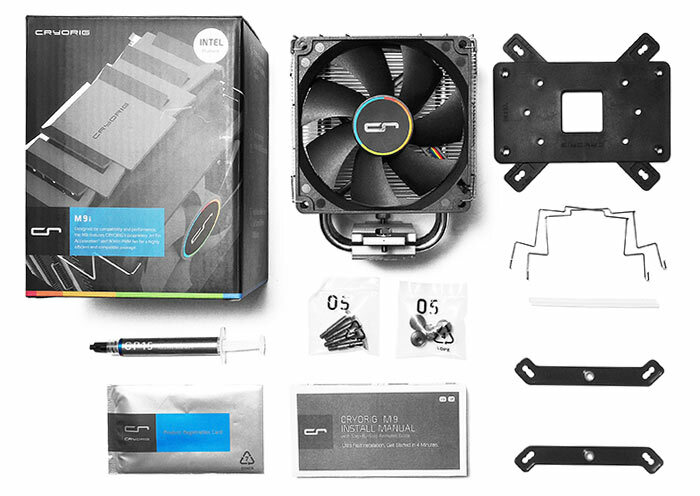 If that's not enough for you, you can even upgrade this cooler with an extra fan, says Cryorig. 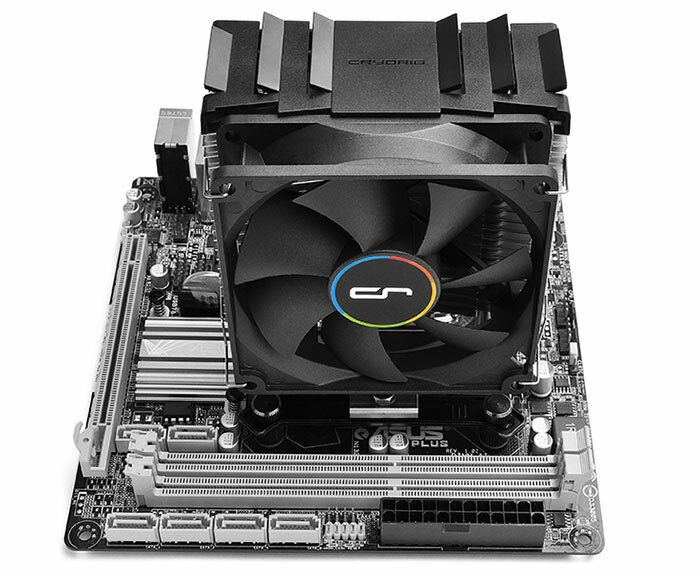 Cryorig has designed the M9 Ultra Compact tower coolers to completely avoid any RAM and PCI-E compatibility issues. Installing this cooler in your system is said to be easy due to the MultiSeg Quick Mount System which includes a sturdy backplate to protect your motherboard. M9i motherboard compatibility includes sockets 1150, 1151, 1155 and 1156. The M9a is compatible with sockets FM1, FM2/+, AM2/+, and AM4/+. Cryorig is releasing these compact new coolers globally, starting this month in Asia, followed shortly by the US, and Europe is targeted for October. The MSRP for the M9i and M9a is US/EUR 26.99. The M9a is compatible with sockets FM1, FM2/+, AM2/+, and AM4/+.